Here at Born on Third we like to hear what you the fan thinks, because after all we are all fans, and we want to know what’s going on in your head regarding the Cubs. Have a comment, want to vent about the Cubs? Then send us an email at bornon3rdcubs@yahoo.com and we will feature it on the blog. This entry comes from Bob Cris, he has thoughts on Bryan LaHair, give him a follow on twitter for more Cubs chatter, and please do not hesitate to send us your thoughts! When I say the name Bryan LaHair, most people think “undeserving All-Star, AAAA, and horrible after good first month”. Okay. As bad as he was in July, guess what? Second on the team in Homeruns, 3rd in RBI’s, would be top 5 in BA if he qualified. He’s also second in OBP, second in slugging, and FIRST in OPS. All that, with an atrocious month under his belt. But lets go back to April. There was a point where he wasn’t even the everyday 1st basemen. But he earned it. He put together a hot streak far more impressive than that of Anthony Rizzo’s first month in the majors. But you don’t remember that, do you? Well, through May 15, LaHair had an insane .352/10/21 line, compared to Rizzo’s current .301/9/23 line. Then of course, came a mini slump. Dale’s reaction to the slump? Automatically reduce his best hitter at the time into a platoon role, for a guy in Jeff Baker who was struggling as well. Pretty dramatic reaction for a small slump, huh? Well, here’s some advanced statistics for you. The Cubs coming into the season had two notable power hitters: LaHair and Soriano. One would protect the other, and as the numbers show the other would take a hit. When LaHair hit 4th in front of Soriano, he saw a decent amount of fastballs, resulting in his hot start. Then naturally, he went into a slump, as ALL hitters do. Ironically, around the same time, Soriano started to heat up. Before you knew it, they essentially swapped positions in the batting order. When Soriano hit 5th, only Josh Hamilton saw more breaking balls then he, in the entire majors. When he hit 4th, in front of LaHair, the amount of FB Soriano saw increased notably, along with his production. In turn, the amount of breaking balls LaHair saw batting 5th increased dramatically, especially with the .190 hitting Soto or rookie Steve Clevenger in the on deck circle. Essentially, about 47% of the pitches LaHair has seen this year are FB’s, a number skewed thanks to his first full month in the ML, April. By FB percentage comparison, Rizzo is at 51 %, DeJesus at 59%, Barney at 61%, and Castro at 53%. LaHair struggles are on him. No denying that. But the numbers say Dale didn’t exactly help him by completely taking him out of his rhythm. Given a chance to hit in front of a good hitter, and a chance to start everyday, to expect a .285/.350/.480 Line from LaHair with 25 bombs is not out of the question. In fact, it’s a reasonable projection (BA slightly optimistic), and with him under team control through 2017, lets not give up on him, Dale. Thanks again to Bob for sharing his thoughts. Like the in-depth research into LaHair’s struggles and why he might not be a lost cause. Once again, if you have thoughts send them to us to be featured on the blog! Here at Born on Third we like to hear what you the fan thinks, because after all we are all fans, and we want to know what’s going on in your head regarding the Cubs. Have a comment, want to vent about the Cubs? Then send us an email at bornon3rdcubs@yahoo.com and we will feature it on the blog. Our first entry comes from Stanley Croussett, a die-hard Cubs fan from Philadelphia, PA. Give him a follow on twitter for more Cubs chatter, and please do not hesitate to send us your thoughts! Chance has it that if you’ve even remotely watched the Chicago Cubs in the past three years, you’ve seen the Cubs start a young short stop by the name of Starlin Castro. From the get-go Castro became a star, driving in 6 in his debut versus the Reds on May 7th, 2010. The Cubs SS kept that momentum and went on to finish his rookie season with a line of .300/.347/.408. How could the then-21 year old improve on that season? 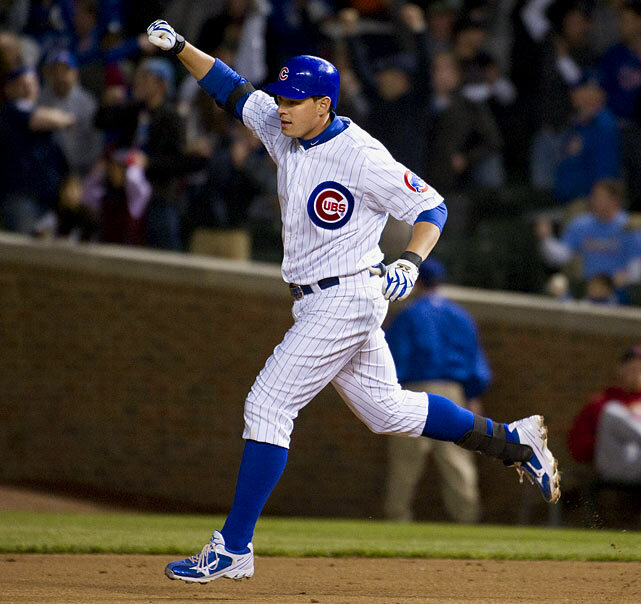 As a Cub fan, regression was easily the most expected thing to expect from Castro – Considering that 2008 Rookie of the Year Geovany Soto’s sophomore slump was fresh in everyone’s minds. But did Castro fall under the same spell? Absolutely not! The Monte Cristi, DR native actually improved his numbers in his sophomore season (.307/.341/.432) and even became the youngest player to lead the National League in hits (207) ever! And moving onto today, we’ve all heard the praise from Len Kasper and Bob Brenly about Starlin being a .300 hitter, not a .299 hitter; the ceiling statements from scouts saying he’ll compete for a batting title some day; and the comparisons from big league authorities everywhere. But now the question arises: Why is Starlin hitting .279 this deep into the season? Hold the trains! Starlin Castro is not regressing! The 2012 season has been a learning experience to Castro. Sure he isn’t hitting .300, but that is because he’s been laying off many more pitches. Starlin’s been called a great bad-pitch hitter, and we’ve certainly seen it when he takes that pitch in the LH batter’s box and bloops it to Right Field for a single. Sadly, though, that pitch has produced many more strikeouts than it has hits. For quite a while now, Starlin’s been laying off that pitch and many others like it. Yes, he hasn’t been getting the hits on the good pitches yet but that is all part of the learning curve of the adjustment. So should we worry about Starlin’s reduced batting average? Absolutely not. Should the rest of the National League worry that he’s close to adjusting? Absolutely yes! 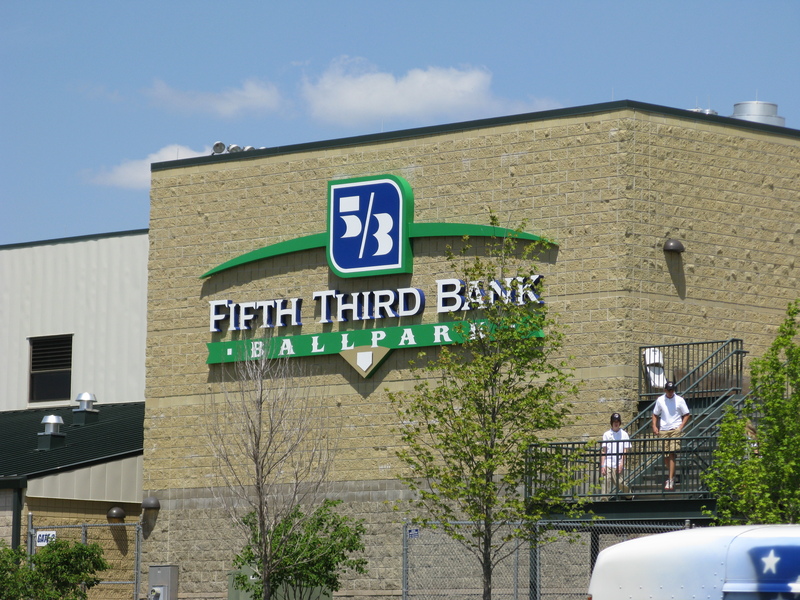 Born on Third traveled to Kane County today to take in the Peoria Chiefs game against the Cougars, here’s a recap, mostly pictures, from the day. We actually bought the tickets before Javier Baez was assigned to Peoria, so it was a bonus that he was playing for the Chiefs and we couldn’t wait to see the 2011 first round draft pick of the Cubs. Unfortunately, the Peoria Chiefs politely warned us of something on the way to the game.. Yes, that was the Peoria Chiefs twitter account letting us know that Javy Baez was not in the lineup today, oh well I guess, at least we still get to see the Chiefs and Kyler Burke pitch. We got to the park around 11:30 because we were expecting the gates to open at 12 which is what the website said but they had the gates open already. Massive picture recap after the jump! I would like to take this time to congratulate a friend of the blog, Russel. Russel operates “Wrigley Regular” which is also on the MLBlog Network. Russel does a great job posting about the Cubs and baseball in general. Russel recently took a trip to the Great American Ballpark in Cincinnati and visited the Cincinnati Reds Hall of Fame before taking in the Cubs game. He has a tremendous recap of the place with tons of pictures and video. Russel also got some big time press for his post as he was featured on Panel #1 on MLBlogs front page. In doing so, he also got Born on Third a small shout out as well (Highlighted below). Great job Russel, keep up the good work. Please head over to Russel’s blog, it’s definitely worth the trip. As we expand the blog, we would like to know more about the reader, and share what the reader/fan in other words YOU think about your trip to see the Cubs in person. If you have been to a game this year, or going to a game, shoot us an email at bornon3rdcubs@yahoo.com to tell us about it. Include pictures, video, maybe your thoughts on some of the new features at Wrigley, anything having to do with your experience good or bad, and we will feature it some way on the blog. This goes for any affiliate of the Cubs as well, go to a Daytona game? An Iowa game? Tennessee game? Peoria game? Doesn’t matter, we want to know, and share your experiences with the masses. If we don’t get any then we will do our own whenever we get a chance to get to a game, there might be a road trip planned, who knows. Thanks again for reading, can’t wait to hear from you.